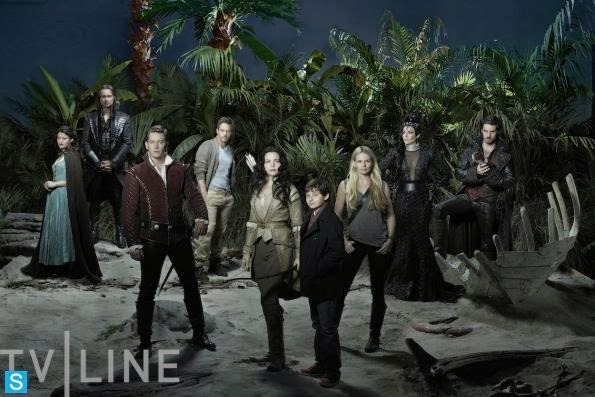 Last night Once Upon a Time premiered it's 3rd season. I thought season 2 ended with a bang, even if it had lost me a little in the middle, and I was looking forward to see the adventures in Neverland. I was not disappointed. It's interesting looking back to the beginning, I thought this entire series was going to be about breaking the curse. Now, I believe taking it in all different directions is a very smart move. I hope season 3 can keep me as captivated as last night's episode did. The changing dynamics in the five on Hook's ship and Emma taking charge once ashore. "...just being who we are... a hero, a villain, a pirate. It doesn't matter which because we're going to need all those skills whether we can stomach them or not." The savior is coming into her true role - leader. A leader understands what is required and can see the individual skills in her team members. I was NOT a fan at all of Mulan and the other two. Bad acting on all counts in my opinion. (I'm usually very forgiving of some not-so-great acting moments in a show, but when I can SEE the acting it's really bad.) But I like Neal and Robin Hood. Baelfire's journey is one I find very interesting, being the son of the Dark One. That leads me to Rumple/Gold. Love him. Always have. The combination of both Rumple and Gold I find fascinating. I'm also interested in his journey as Henry's grandfather. I'm hoping to see Belle at some point. She's in the promo for next week so here's hoping. A great episode and start to the season. We will see how Henry was adopted in episode 9. In episode three, “we get a little more into Regina and what it’s like for her to be on this trip with people she detests,” says Horowitz. Tinkerbell and the Darlings will both appear this season. “We haven’t forgotten about them,” says Horowitz. Since Ariel is on her way, does that mean we’ll see Ursula as well? “There’s an excellent chance,” says Horowitz. Episode 3 will show more of Neal’s journey with Mulan, Robin Hood, etc. and Horowitz teases we’ll see “a wrinkle to their story” appear. I found this OUAT T-Shirt on teespring and would like know your opinion.